In a large frying pan, heat olive oil. 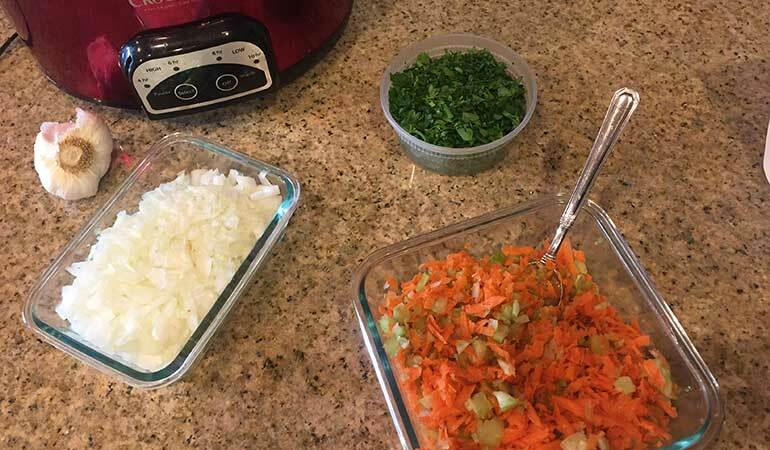 Add onion, celery and carrots and sauté until softened, about 10 minutes. Add garlic and parsley, saving a little parsley for garnish. Stir for about one minute. Transfer to slow cooker. In the same pan, without washing it, add ground venison. Season with salt and pepper and sauté until meat is browned, about 8 minutes. Add wine and sauté on medium-high heat until wine has completely evaporated, about 15 minutes. Transfer meat and pan drippings to slow cooker. Add milk, bay leaf, sugar and crushed tomatoes. Cover and cook on low for 8 hours. You can also cook on high for 3-4 hours, but the longer the sauce simmers, the more flavorful it will be. To thicken your sauce, either cook with the lid off for the last 30 minutes or add one tablespoon of flour, stirring until sauce thickens. 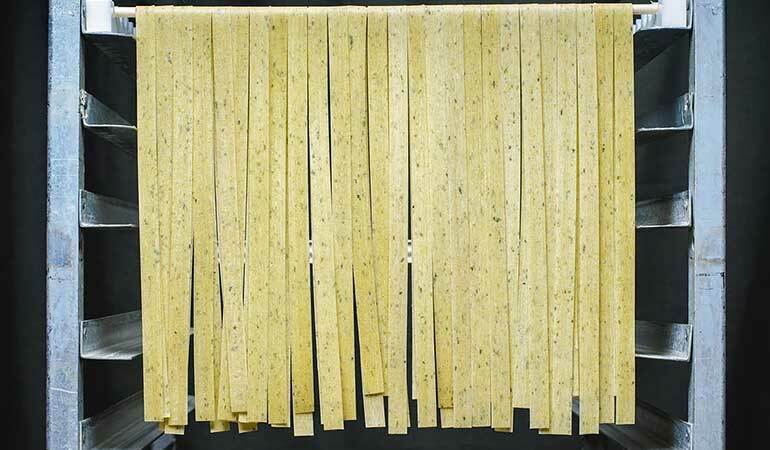 Cook pappardelle noodles for 8-10 minutes. Strain. Serve a generous amount of venison Bolognese over the pasta. Top with Parmesan cheese and garnish with fresh parsley leaves. If you have leftover venison Bolognese, freeze it for up to 5 months. A few months ago, I was browsing Whole Foods Market in search of a quick, tasty meal I could make for dinner that evening. I stumbled upon Chile Relleno Ravioli that I took home and prepared in less than 15 minutes. I liked the pasta so much that I looked up the company behind the ravioli online. The pastabilities for pasta recipes are endless with their creative products, and browsing their website is inspiring for anyone who enjoys cooking with this traditional Italian staple. With venison in my freezer and a can of crushed tomatoes that had been sitting in my cabinet for over a month, the word Bolognese went off in my head like a lightbulb. 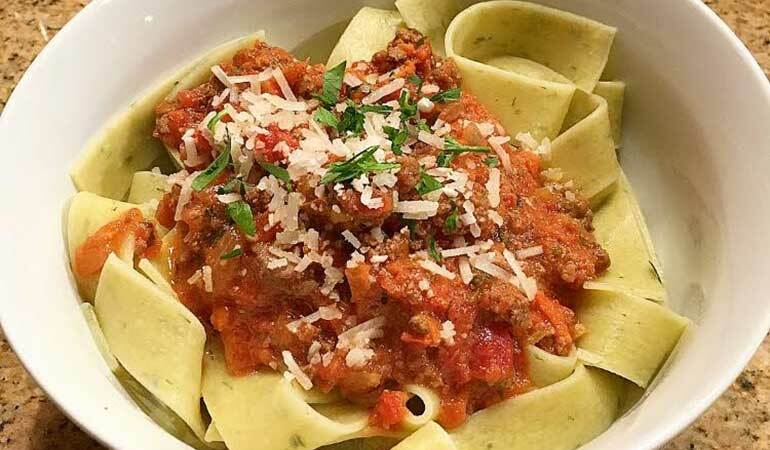 Although there are many pasta flavors that could nicely compliment this venison Bolognese, I selected the Garlic Chive Pappardelle, and it didn’t disappoint. For more information on Pappardelle’s Pasta Company, visit PappardellesPasta.com.